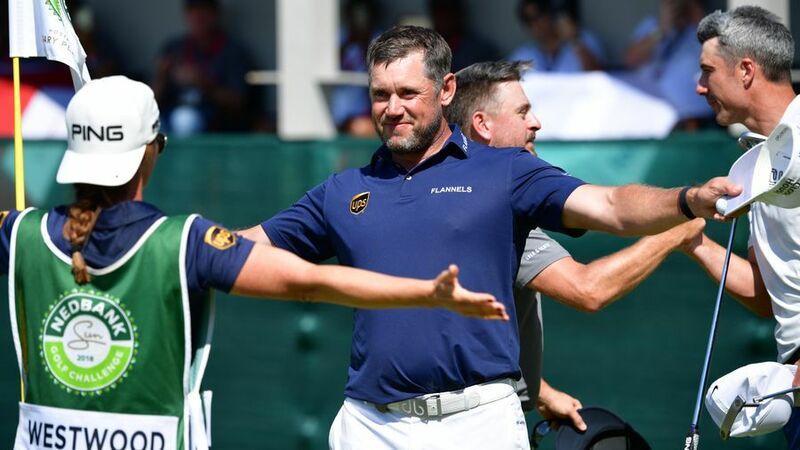 Englishman Lee Westwood picked up his first European Tour win in four years by winning the 2018 Nedbank Golf Challenge for a third time in his career. One of the crowd favourites, Westwood won the $1,250,000 winner’s share of the $7,500,000 purse at Gary Player Country Club in Sun City. The 45-year-old, who was three shots back before the start of the final day, played a near perfect round that included an eagle and six birdies to sign a 8-under 64 to finish on 15-under par – edging out nearest rival Sergio Garcia by tree shots. Local favourite Louis Oosthuizen couldn’t capitalise on a good start and finished with a double bogey on the final hole. Oosthuizen signed a final round of three-under 69 to finish third on 11-under. The field featured seven former champions. Sergio Garcia (2001‚ 2003)‚ Trevor Immelman (2007)‚ Lee Westwood (2010‚ 2011)‚ Martin Kaymer (2012)‚ Europe’s Ryder Cup captain Thomas Bjorn (2013)‚ Danny Willett (2014) and defending champion Branden Grace all returned to Sun City for the 2018 Nedbank Challenge. Grace was a bit out of sorts but came back well and managed a two-under 70 to finish T11 at 3-under. Sergio Garcia went into Sunday’s final round as the wire-to-wire leader but couldn’t produce the goods as Westwood launched his late charge. 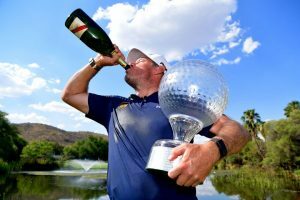 The Spaniard, who treated the crowds at Sun City with some exquisite golf over the first two days, looked somewhat tired during the closing stages of the tournament and simply didn’t resemble the man who opened the tournament with an 8-under 64 as he approached the 18th green on Sunday. World No. 7 Rory McIlroy struggled throughout the tournament and even made a mid-tournament shaft change on his driver after carding a one-over 73. The Northern Irishman never really challenged the front-runners and ended T21st, 14 strokes behind Westwood. Westwood’s five birdies on the back nine came round about the same time things started going south for Oosthuizen and Garcia. Westwood practically clinched the title on the 17th with and incredible approach to the intimidating green, which just served to underline his class as his nearest rivals started to feel the heat. “I hit one of the best shots of my career into 17 with a seven-iron from 183 to 10-feet. You don’t hit shots like that very often,” said Westwood. “It was a great round of golf. The wind was moving around a bit and I was looking at the pin positions and there were a few smelly, tough pin positions. “I played a pretty flawless round of golf with hitting it into the right areas. There were only a couple of times when I was out of position which is incredible around Sun City because it drags you out of position and it is intimidating enough off the tee. Many believed that at 45 the former World No. 1, who in fact carded the 62 course record at the Gary Player Country Club back in 2011, was at the end of the road. Ranked 119th in the world and having seen his status in the game fall from name brand to has been, Westwood surprised all the pundits with his masterful iron shots during a bogey-free final round. When you win 23 European Tour events and 43 worldwide titles, you know what it takes to claim victory. The next big event on the European PGA’s calendar in South Africa is the 108th South African Open taking place at the Randpark Golf Club in Johannesburg from 6 to 9 December 2018. 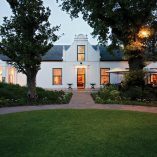 You can also play the renowned Gary Player Country Club, where golfing legends such as Jack Nicklaus, Seve Ballesteros, Gary Player, Bernhard Langer and Tiger Woods have all teed it up. 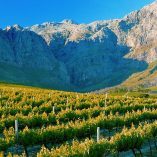 We offer an exciting 4 night Stay & Play package at Sun City that can be combined with incredible destinations such as Cape Town and the Garden Route to create an unforgettable golf holiday in South Africa. Contact us today for a free quote. 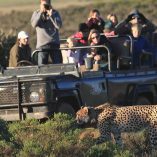 Lee Westwood loves travelling to South Africa and recommends visiting our shores for a golfing holiday of a lifetime. 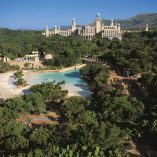 “The Gary Player Course at Sun City has been an extremely enjoyable course to play over the years for the Nedbank Golf Challenge. I’ve been fortunate enough to play at a range of magnificent courses across the country, including the Durban Country Club, with its oceanside location and Leopard Creek, which is always fascinating with its presence of wildlife. 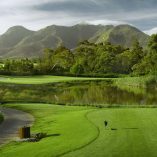 Then you have two other great courses with the dramatic Pinnacle Point and the stunning Links course at Fancourt, which are definitely two of my favourites.